Article I wrote for Them Dam Writers. 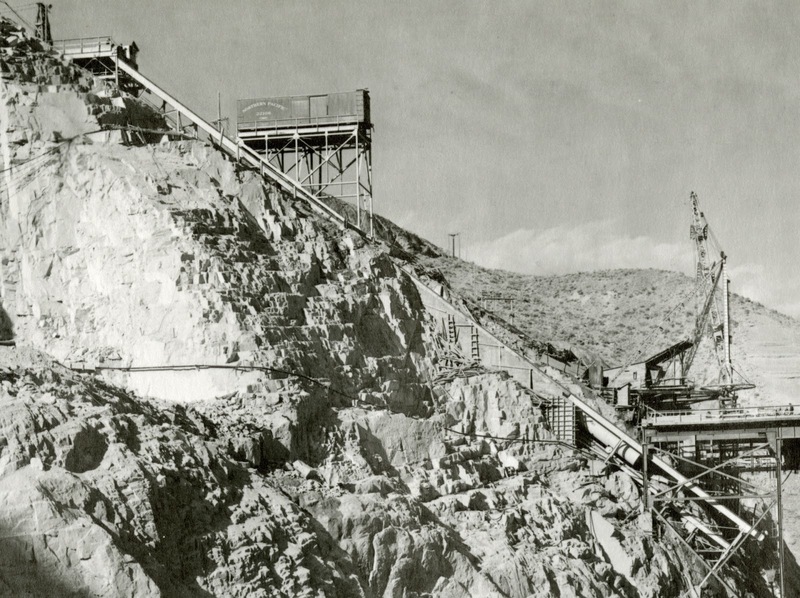 Construction of a $20,000 to $30,000 car skip on which fully loaded flatcars can be shunted from the regular government railroad at the west axis of Grand Coulee Dam, down a steep incline to the trestle deck spanning the dam was started on September 2, 1938. The drop from the upper railroad to the trestle is about 130 feet. The length of the inclined rails is only 200 feet, showing how steep the drop actually is. It is a grade of 80 percent, or 38.50 degrees. Cars would be rolled on a platform over the skid runway. The platform would then roll downhill with the aid of a counterweight. A hoist brought the cars back up. The construction eliminated the building of an expensive railroad spur from the cement silos along the pump-plant base to the trestle. The USBR had previously prohibited building a trestle over the old slide area. The cars will run down the steel incline endways instead of sideways as usual. Thousands of tons of steel will be brought down the line. 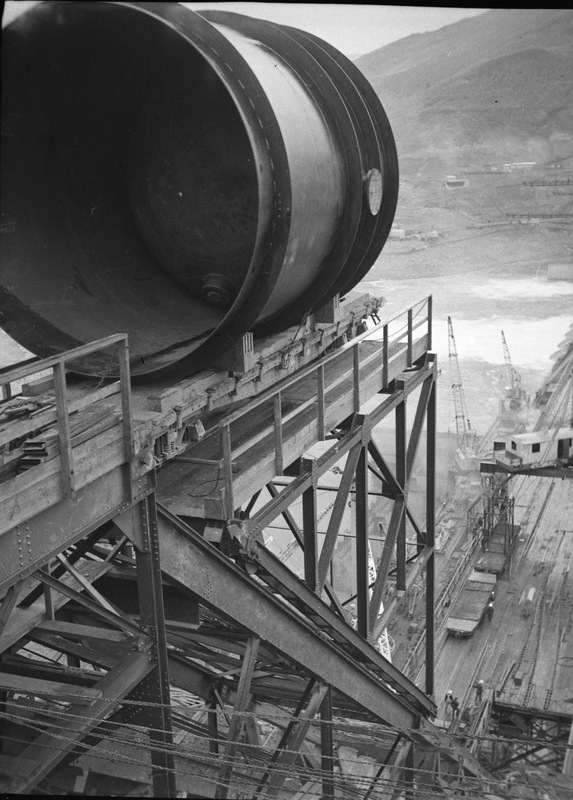 Unknown is when the skip was removed and a regular track installed, likely due to the sheer number of railroad cars that needed access to the construction trestle.